We offer, continuing medical care service, in site blood draws and lab work. are in-house from 9:00 am to 9:00 pm (no appointment needed), Monday through Saturday. 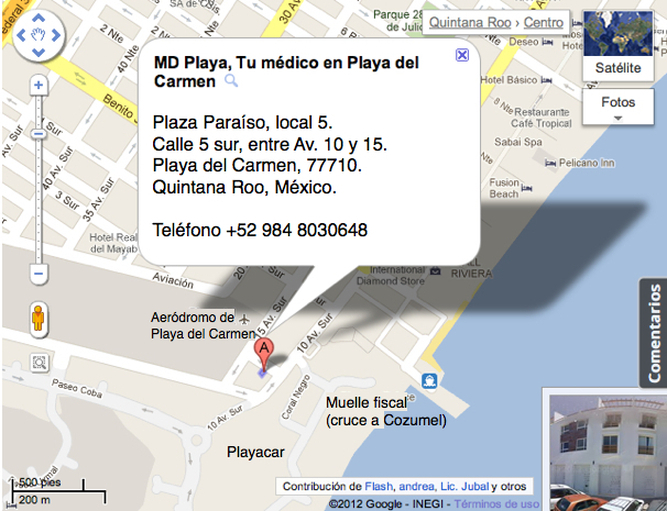 We are located in the ground floor of Plaza Paraíso, right outside Playacar, phase 1 and 2.